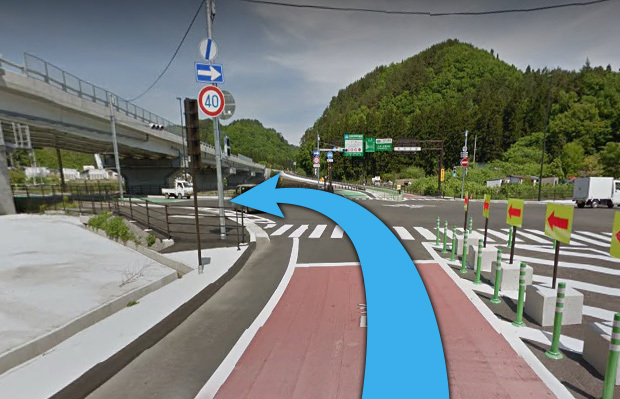 ①After running down the Sanriku-Kita Highway and reaching Iwaizumi-cho, turn left at Iwaizumi Ryusendo cave. 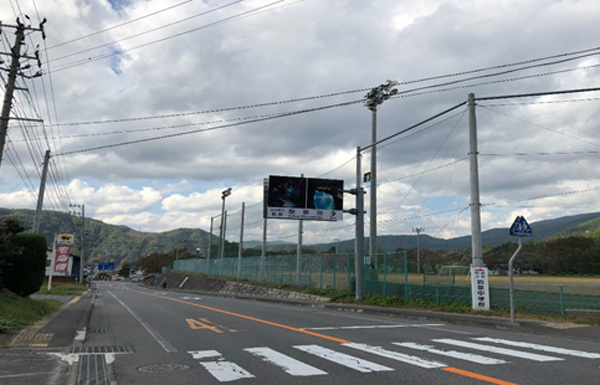 ②After running for about 20 minutes you will see “Road station Iwaizumi” on the left side.Continue straight for about ten minutes straight. Go through one tunnel and cross the bridge.As you climb uphill you will see “Iwaizumi Junior High School” on the right side. Please turn right at the intersection ahead. 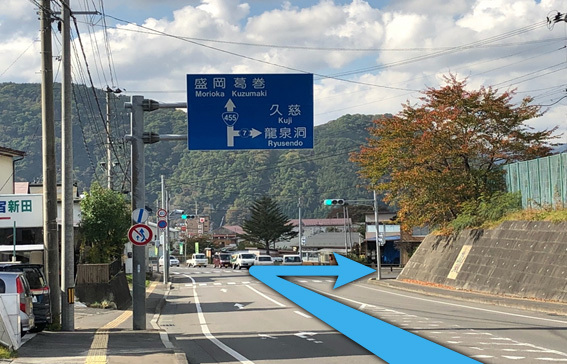 ③After about 5 minutes you will see the entrance of Ryusendo Cave on the left!Welcome! 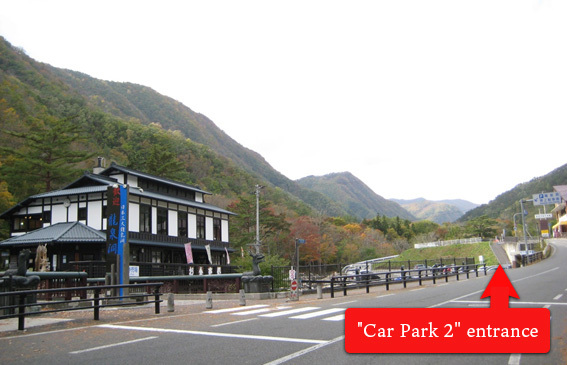 ④The entrance of the closest “Car Park 2” is here.